Premier League legend Eric Cantona believes that Jose Mourinho is a good manager with a "good personality", but is not the right fit for Manchester United. The enigmatic Frenchman, who played over 180 times for United between 1992 and 1997, instead revealed his wish that ​Manchester City boss Pep Guardiola were in charge at Old Trafford. The Red Devils have won two and lost two of their first four matches in the Premier League this season, suffering defeats to Brighton and Tottenham. Cantona says that it is not just ​United's results which must improve, but their style of play too. "It is early in the season...too early to tell," he told the ​Daily Mail. "Manchester United is a great club and will always be great. They will win things, I know they will. "I like Mourinho. He has a good personality but not for United — they should have [Pep] Guardiola as coach. He should be there, but he is doing magic with that other club. The club I cannot name." 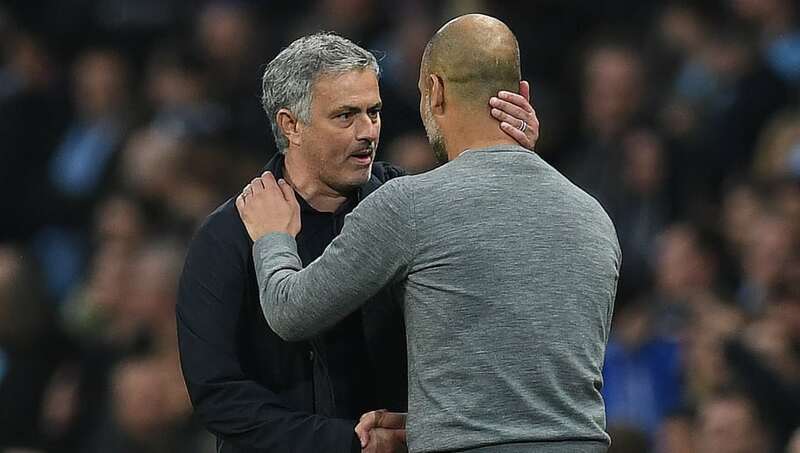 Guardiola guided Manchester City to a record-breaking title triumph last season, while Mourinho's United ended the campaign without a trophy to their name. Cantona made it clear that Guardiola would be his preferred choice to take over at Old Trafford, but was prepared to entertain the possibility of another candidate: himself. "I would like to coach. If they called me, I would go; I would enjoy it. They know where I am. Then we would play creative football once again," he said. United travel to Watford in their first match back after the international break.